If you’re approaching menopause, fluctuating hormone levels may be responsible for worsening PMS symptoms. Research shows that women who suffer from PMS earlier in life tend to have a rockier transition to menopause later in life. These hormonal changes can cause PMS to flare up more noticeably every month. Your mood may feel darker and more irritable. You might have “brain fog” or experience reduced alertness. You may have more body aches, breast tenderness, and persistent headaches. Not close to menopause? Then it’s particularly important to talk to your doctor about worsening PMS symptoms. Other issues could be at play. Thyroid disease, for example, can mimic some of the symptoms of PMS. Polycystic ovary syndrome (PCOS) is often associated with chronic PMS, but is really another set of health issues. A doctor can sort through your exact symptoms and get to the root cause. Depression or anxiety. These mental health issues can become worse during PMS and your period. Irritable bowel syndrome (IBS). The cramping and bloating that come with IBS can worsen with PMS. Bladder pain. If you already experience bladder pain, PMS may add to the pain. Myalgic encephalomyelitis/chronic fatigue syndrome (ME/CFS). Some research shows that women with ME/CFS tend to have heavy menstrual bleeding and more severe PMS. In the last few decades, another period-related health issue has come into focus: PMDD, or premenstrual dysphoric disorder. This is a severe form of PMS that occurs in about 3 to 8 percent of women who have PMS. Antidepressants, which help with emotions, fatigue, food cravings, and sleeplessness. Birth control pills, which reduce PMS and PMDD symptoms in some women. Vitamins and supplements, which ease nutritional imbalances. Diet and lifestyle changes, which can support overall wellness. PMS symptoms can be stubborn and frustrating. But research shows that you can take certain steps to ease its impact on your body, mind and lifestyle. Here are some tips. Focus on food. Eating a healthy diet rich in nutrients is important every day, but it’s particularly important before and during your period. Include whole grains, protein, low-fat dairy, and a variety of fruits and vegetables. Eat foods rich in calcium for bone health. Avoid triggers. You might be craving chocolate or coffee, but these can trigger PMS symptoms in many women. Try to avoid caffeine, alcohol, chocolate and salt. Reduce inflammation. Aspirin and ibuprofen are anti-inflammatories and can reduce the swelling that often accompanies PMS. Try low-impact exercise. Your period might not make you feel like exercising, but mild exercise can ease PMS symptoms. Explore low-impact exercises like walking, swimming and cycling. Concerned about PMS or PMDD? 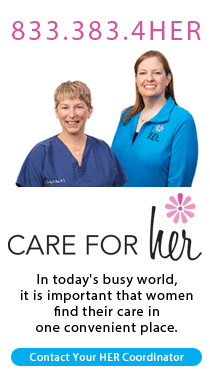 Reach out to the experts at Johnson Memorial Women's Health Specialists.